William Ray Cyrus is an American singer, songwriter and actor. 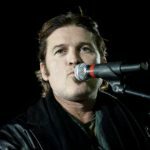 Having released 12 studio albums and 44 singles since 1992, he is best known for his number one single “Achy Breaky Heart”, which became the first single ever to achieve triple Platinum status in Australia. It was also the best-selling single in the same country in 1992 and was translated into more than 100 languages. Thanks to the video of this hit, the line dance catapulted into the mainstream, becoming a worldwide craze. "I always prayed that God would give me the wisdom and the vision to do the things on this earth that I was supposed to do to express His life and love and His will." "I am and always will be a sinner. But that’s the beautiful thing about Jesus. I’ll always try to be a better person in the eyes of God. But I’m not all of a sudden stepping up on a pedestal and saying I’m holier than thou, ’cause I’m not!" "The people at the record company had asked me if I could write a song about my life, my relationship with God, and where I’m from. Well, I can’t write a song on purpose, my songs come in a moment of inspiration or desperation." "Well, I’ve never left my faith – but have I made a lot of mistakes? But was I fortunate that I was brought up in that Pentecostal church, where I heard about God’s love and God’s forgiveness."